Be part of something Big, and become a better, stronger retailer in the process. *Complimentary NRF membership available to small and mid-size travel goods specialty retailers. 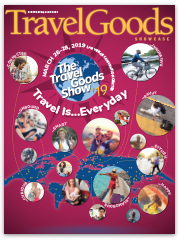 Travel Goods Showcase magazine, the biggest trade publication in travel goods that debuts more than 200 new items each year, along with the latest trade regulations, industry personalities and personnel changes, and industry news. JOINING TGA MEANS YOU NEVER GO IT ALONE — we are your industry network, your back-end partner, your business community. We are the single biggest source of news directly affecting this industry, and your business. And your support as a member gives TGA greater strength for promotion, and more political/regulatory leverage. JOIN TODAY AND BECOME A TGA MEMBER. It’s a smart move for your business, and for the industry. 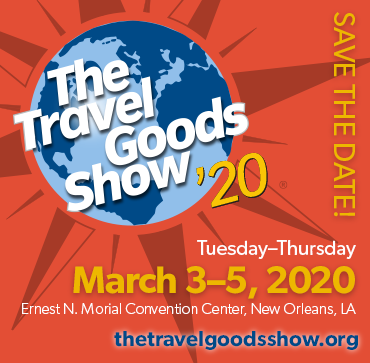 For more information about how TGA membership can directly help your retail operation, please contact TGA Member Services Director Cathy Trecartin, 877-842-1938, x-702, cttga@aol.com. Or simply complete the online membership application.